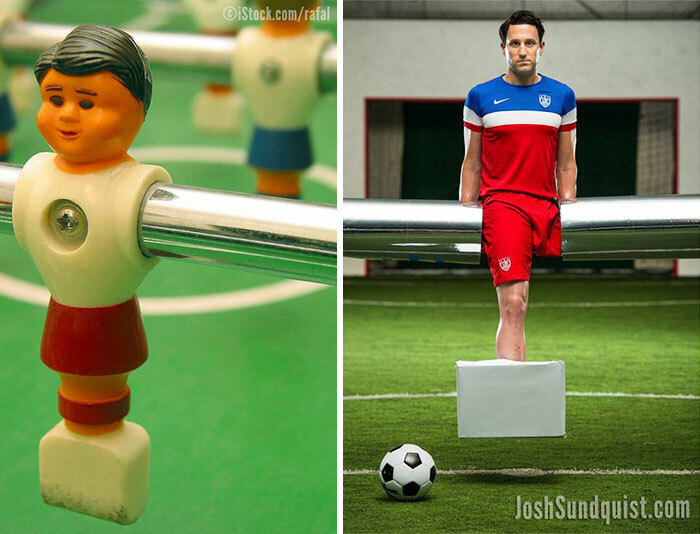 When Josh Sundquist was diagnosed with cancer at nine years old, he was told he had a 50% chance of surviving. 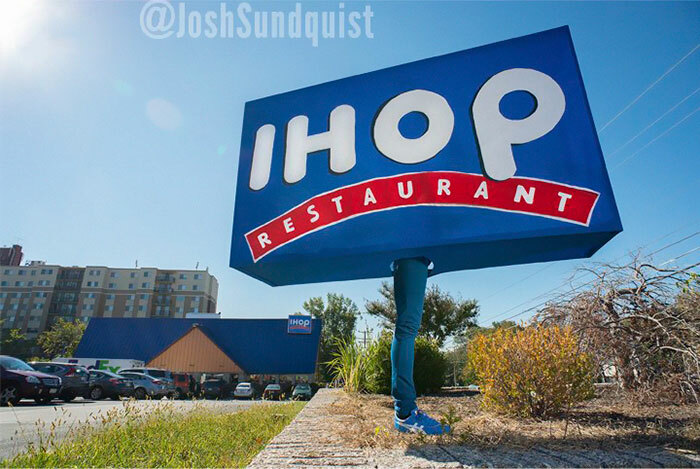 Despite chemotherapy, he lost a leg during treatment. 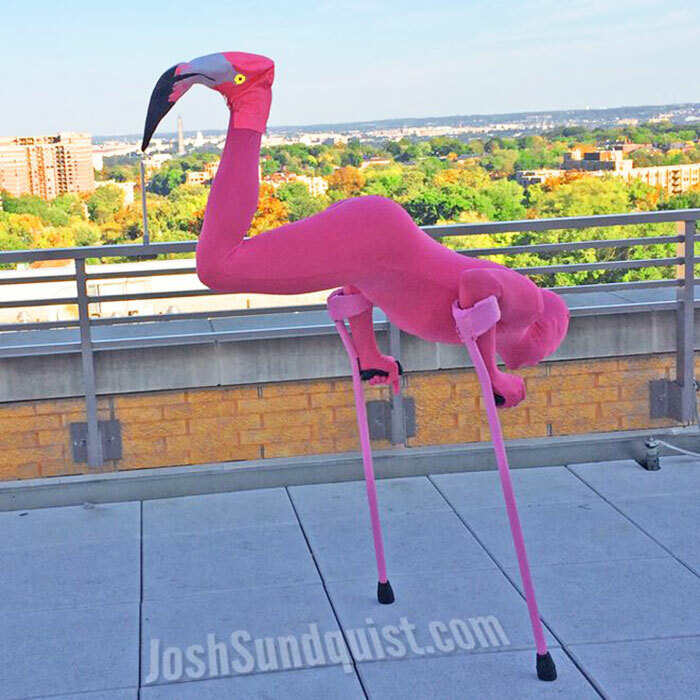 But by thirteen he was cancer free, and by sixteen was ski-racing. 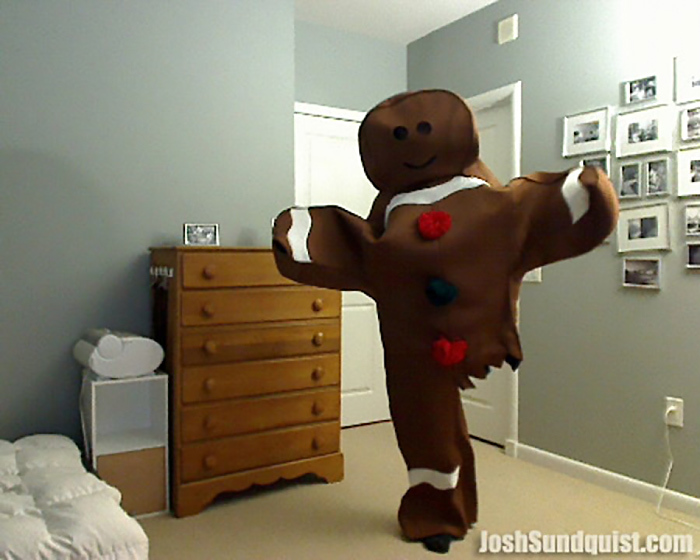 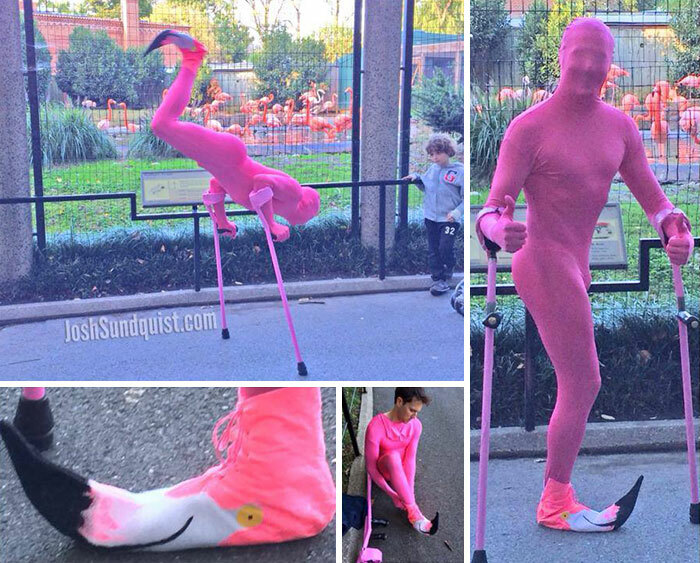 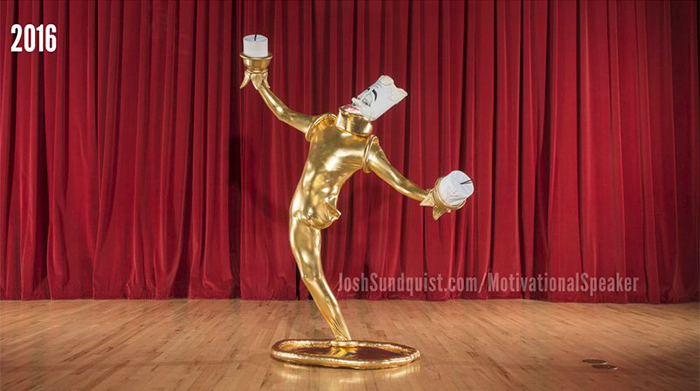 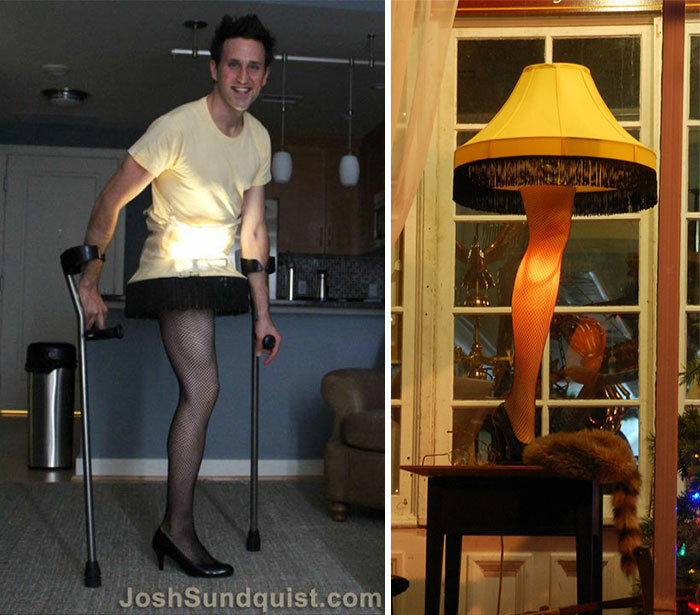 Today, Sundquist is a motivational speaker, famous on the social medias for his fantastically clever costumes that take full advantage of his disability.